Use leak detection kits to find leaks in HVAC or oil-based fluid systems before they cause a system breakdown. 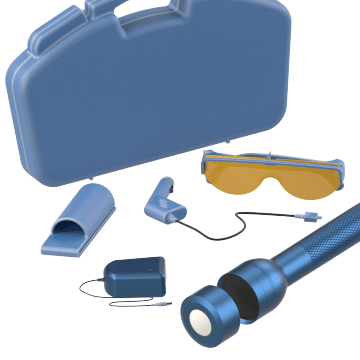 Also known as UV leak detectors, the kits provide fluorescent dye that you inject into your system, and they come with a UV light source that causes the dye to glow so you can spot leaks. 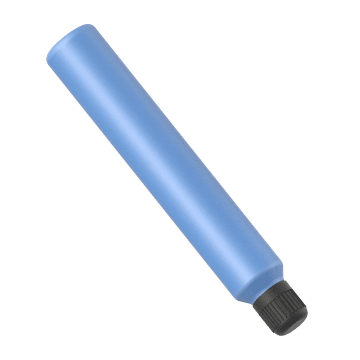 They're commonly used during regular system maintenance and when making repairs. 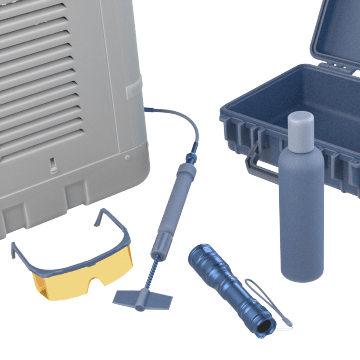 These kits contain everything you need to perform a leak detection test on either an HVAC system or an oil-based fluid system, such as a compressor, gearbox, or hydraulic system. 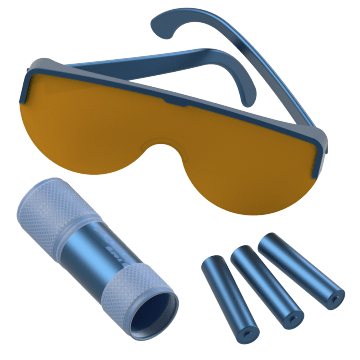 The kits include fluorescent dye to inject into the system, a UV flashlight to reveal dye leaking from the system, UV glasses to intensify your perception of the dye, and other testing components. Locate leaks that would be difficult or impossible to spot under regular light using these leak detection lights. Use them to inspect your HVAC or oil-based fluid system for leaks after you've injected fluorescent dye into the system. They emit ultraviolet light that causes the dye to glow, revealing leaky areas. Add these fluorescent dyes or oils into your HVAC or oil-based fluid system to test for leaks. They show up under UV light, so you can spot leaks in the system.